The landscape of a city is constantly shifting, with buildings springing up and vanishing again as the economics and community developments of the region rise and fall. The history of the landmarks and the legends develop over years and decades but can disappear overnight. Formerly in 2 locations - at the intersections of Montrose and Cumberland and at Lawrence and Cumberland - the stables were owned by George Jayne: brother, rival, and eventual victim of the infamous horse breeder Silas Jayne. The Happy Day Stables burned down in the late 1970s. At the intersection of Harlem and Forest Preserve, this was the second outdoor theater to open in the Chicagoland area, with room for more than 1000 cars. A Chicagoland institution, the Maurice Lenell cookie factory was located near the intersection of Harlem and Agatite. At its peak, the "cooky" company produced 10 million cookies a day. 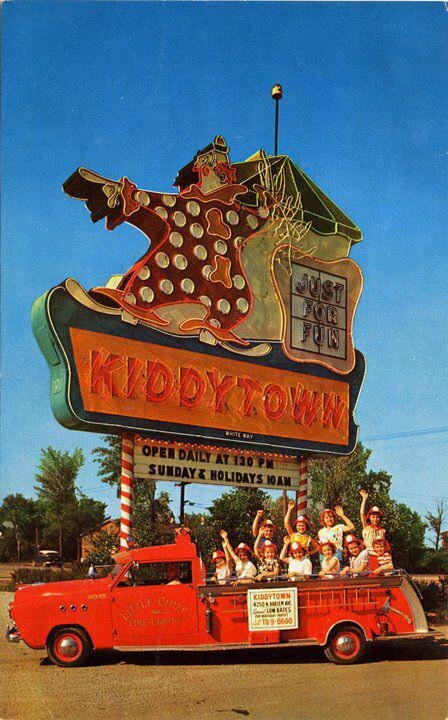 A family-run amusement park for 80 years, Kiddieland had a branch location known as Kiddytown in Norridge, right next to where the Harlem-Irving Plaza stands today. Now called the Chicago-Read Mental Health Center, the infamous mental hospital started out as an almshouse for the poor in 1854. The institution did double duty as an insane asylum, as well, starting in 1858. It was turned over to the state after a fire in 1910 destroyed several buildings. South of Montrose, between Thatcher and Ozanam, you will find many prominent names buried. Besides local families, notable internments include: author Shel Silverstein; Abe Saperstein, founder of the Harlem Globetrotters; movie critic Gene Siskel; and Jack Ruby, murderer of Lee Harvey Oswald. The cofounder of Sears, Roebuck, and Companty, Alvah Curtis Roebuck, is also buried nearby, at the Acacia Park cemetery. Have pictures of these places or any other memorable landmarks in the area?